The bags are packed, I have finished all the work I had to do before leaving and the house is ready for our son who is house-sitting. We are heading off to the airport later today as we have an early flight tomorrow morning. Although I have been looking forward to this trip for some time, there is a certain sadness in the air today. The result of the referendum which took place yesterday regarding our membership of the European Union has left enormous uncertainties about numerous aspects of our country’s future. 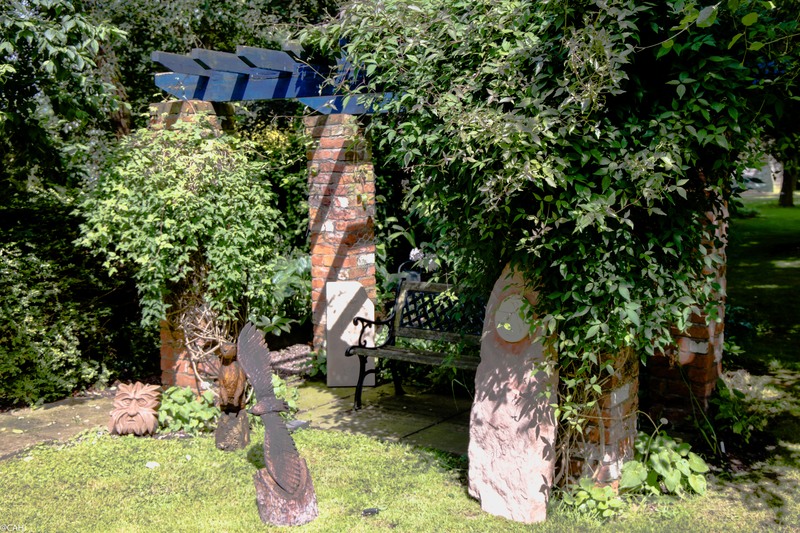 The other is that I am having to leave on a weekend where seven local gardens, including mine, are exhibiting sculptures by various local artists to raise money for a charity. I cannot believe that I am going away when there is art in my garden but I did get the chance to meet some of the artists and assist in setting up this morning. I have finally got over my anxieties about the weeds I have not had the time to banish and the areas still being renovated. 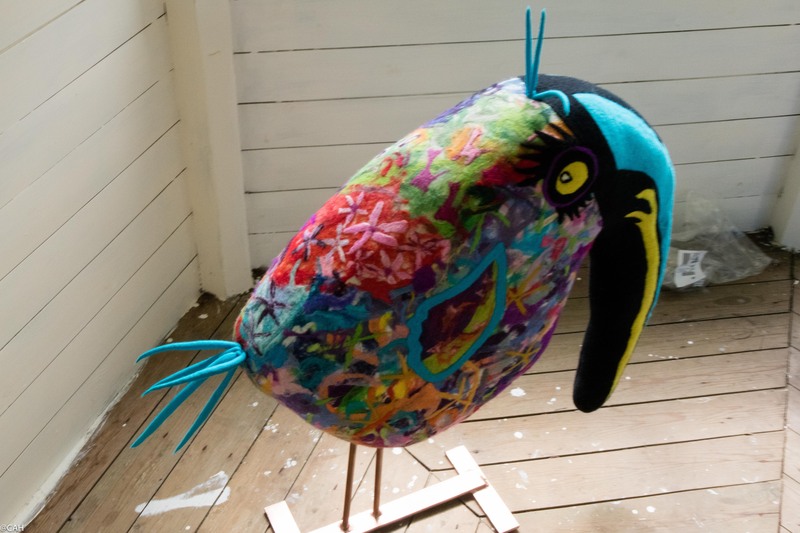 Here is one of the felt birds in the summer-house. 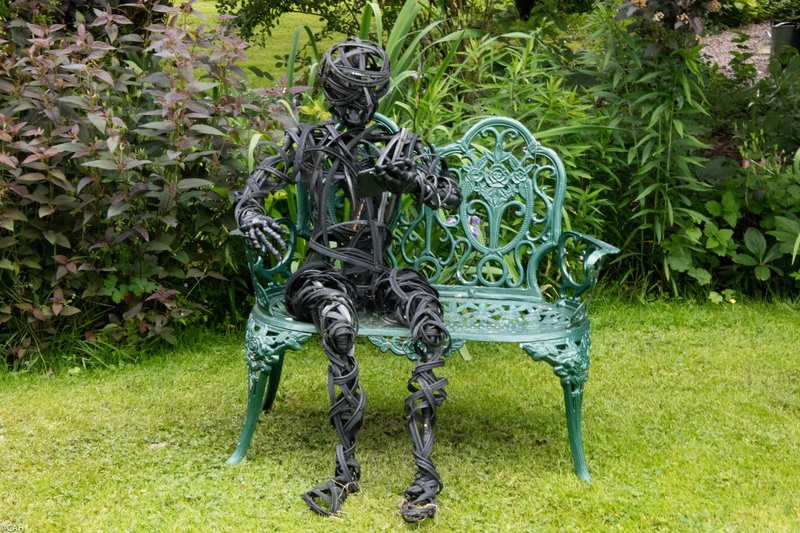 and this sculpture made from car tyres, is on the lawn. Time for me to go away, relax and look forward to our trip. Although I can understand your sad feelings over the momentous E.U. decision & how you’re bit unsettled leaving for this journey when there’s art in your garden, I applaud your wanderlust! You’ll be nearing the end of your trip when you reach Livermore, CA which has been our home for 25+ years. Enjoy the drive!